Sitali Pranayam is known to have a powerful cooling, relaxing effect on the body, while maintaining alertness. It is known to lower fevers, and aid digestion. For our security we normally reach outward to things or inward to emotions and strong feelings. When instead we tap the deep strength of our soul we can achieve fulfillment. The powerful currents of our passions turn to compassion, commitment and joy. (Qote by Gurucharan Singh Khalsa). Is located at the navel and solar plexes and affects the liver, gall bladder, spleen, digestive organs, pancreas and adrenals. 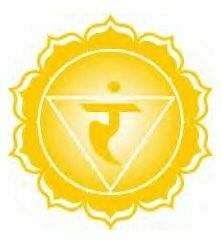 When we are balanced in the 3rd Chakra we will feel strong in our self esteeem, know our own identity, have good judgement and good inner balance. We will be inspired and in good health. if we are un-balanced we may feel anger, greed, shame, despair and we may have problems with digestion, liver, gall bladder and the pancreas. During tomorrow’s class we will do a kriya working on the Navel point and move the energy up to the heart to balance our Praana and Apaana life forces. Join Shaunagh for her Kundalini Yoga Class at St Pauls Church, Hills Road, CB2 1JP, ENGLAND between 6.45-7.45pm tomorrow Wednesday 3oth September 2015.